Hey guys you hungry?! 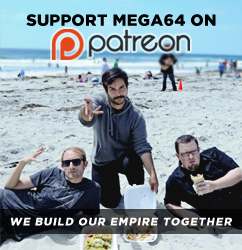 The come grab some grub with the Mega64 Boyz and watch this Podcast! In this episode: We travel a great distance... down the street to eat at In-N-Out! There, we give more details about our summer conventions, mostly including RTX and Anime Expo! We also review Mario Kart 8, and let you know if it's "Dope or Nope!" Check it out! Listen to the audio here! We also have a link for discount Disneyland tickets for Gamedays 2014! Hurry up and grab them now, Disney will be raising the ticket price on June 16th...GET THEM WHILE IT"S CHEEPER!!!!!!... And go to our store yo!